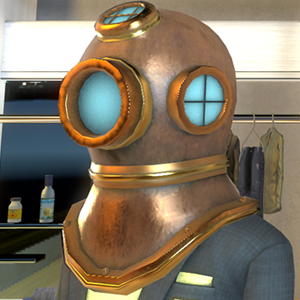 Share your photos of this item, via the PS Share button. Just hashtag your photos using #ypsholddiverhelmetmale on the Twitter share! Or hashtag #ypsholddiverhelmetmale via Instagram! Get a Big Win in Fish and Chips Slots. 20 character minimum. Focus on the product and your experience using it. Web Site ©YourPSHome.net 2008-2016, The PlayStation Home & PS Home trademarks, logo and visuals of the said trademarks are licensed to YourPSHome.Net by Sony Computer Entertainment Europe Limited ("SCEE"), as an royalty-free non-exclusive license.